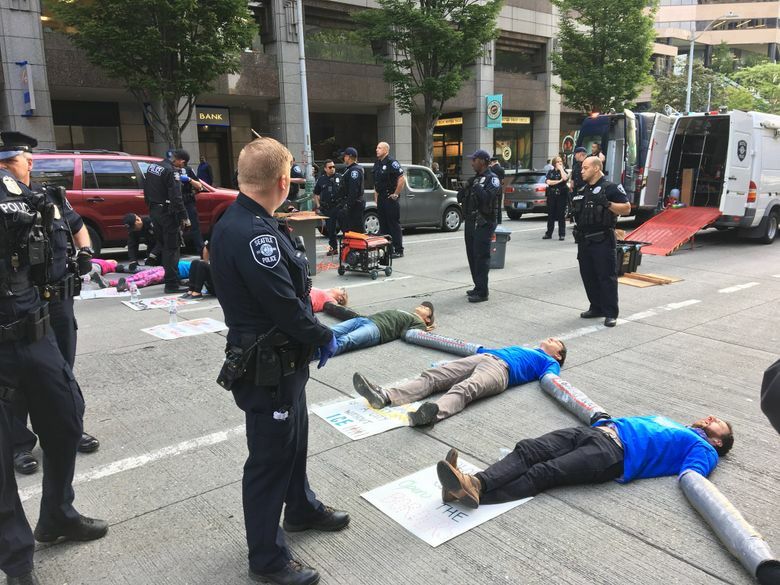 Several immigrant-rights activists were taken into custody Tuesday morning after blocking traffic at Second Avenue and Madison Street in downtown Seattle. Roads were reopened shortly after 9 a.m. 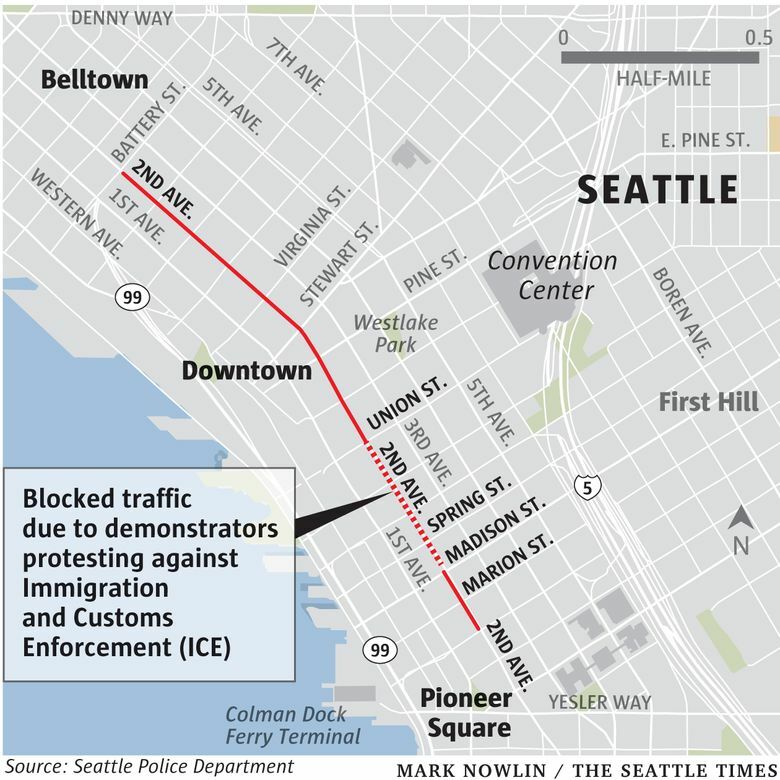 Protesters linked their arms within piping to block Second Avenue traffic during the morning rush hour, beginning around 7:30 a.m. By 9 a.m., authorities closed Second Avenue at Union and University streets. Patrick Michaud, spokesman for Seattle Police Department, said nine people remained in the roadway after police ordered them to leave at about 8:30 a.m. One person left on their own accord and eight people were taken into custody. Protesters associated with immigrant-activist groups Northwest Detention Center Resistance and Mijente gathered outside 1000 Second Avenue, which houses regional offices for U.S. Immigration and Customs Enforcement (ICE). Demonstrators said in a news release that they were protesting the Trump administration’s immigration policies and calling for immigration reform through the abolition of ICE, which is responsible for enforcing the country’s immigration laws. Activist Maru Mora-Villalpando, an undocumented immigrant from Mexico, said in the release that the location serves as the “epicenter for the deportation pipeline in Washington State.” She is currently in deportation proceedings herself, which she and her supporters claim is retaliation by ICE for her activism in favor of immigration reform. Kirsten O'Brien: 206-652-6594 or kobrien@seattletimes.com.